Ibaraki’s spring beginning with flowering of plum blossom and peach blossom, come to climax with flowering of cherry blossom. There are approx. 27 places famous for beautiful cherry blossom in Ibaraki. 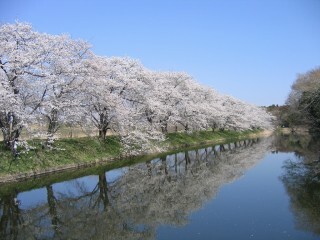 In this time, some events (Cherry Blossom Festival and so on) will be held in Ibaraki. Why don’t you come and visit to Japanese seasonal tradition? The wonderful cherry blossoms are full from middle of mountain to top of mountain in spring, it will be turn pink. In addition, you can enjoy cherry blossoms for long time because time of bloom has sifted by a vertical drop of 305 meters. 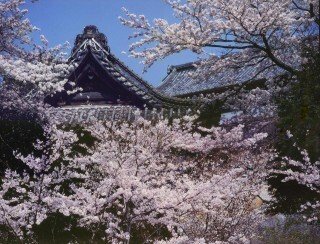 Kawazu zakura, Edo-higan zakura, Yamazakura, Satozakura, Someiyoshino and other such approx. 3,000 cherry blossom trees are full bloom in Amabiki-kannon. Madara Mdara-kishin sai [traditional festival] will be held in the temple, it is lively with many visitors. Someiyoshino, Yamazakura, Oshimazakura and other such approx. 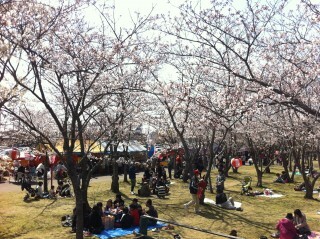 3,000 cherry blossom trees are full bloom in the park. 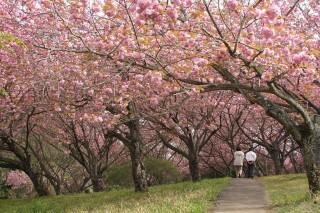 You can enjoy putting golf, jogging, birdwatching and others along with cherry blossom viewing! Also, there are many playground equipment, lots of families can enjoy, too! In the period of Sakura Festival, you can enjoy viewing lit-up cherry blossoms at night by Japanese lantern. It is so beautiful. Shizuine Furusato park, which were selected the best 100 magnificent cherry blossoms in Japan. 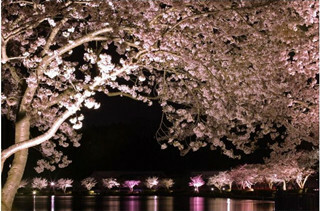 * The period of night cherry blossoms are 9:00 – 21:00. You can enjoy fantasy cherry blossoms scenery, because some magnificent cherry blossoms in Mito are decorated with many paper lanterns and lit-upped cherry blossoms. “Hitachi Sakura Festival”, which is selected the best 100 magnificent centering on Heiwa street in front of JR Hitachi station and Kamine park. This festival grooves to Hitachi Furyumono performance (traditional float performance) and so on in every year. 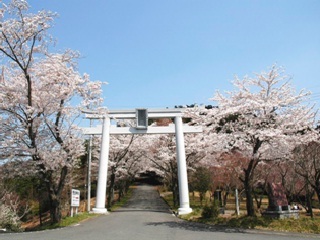 Someiyashino makes 1.8 km archway of flowering cherry trees along kokaigawa fukuoka-zeki. (weir) It is selected the best 100 tourist area in Ibaraki. ※This data is as of 2015.